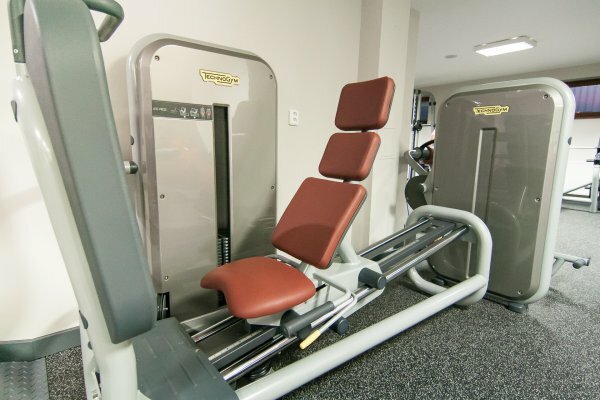 Our fitness centre has been refurbished and fully equipped with new machines by TECHNOGYM, one of the best sports equipment brands. Come and have fun, enjoy broadcasts of sporting events or play billiards comfortably. 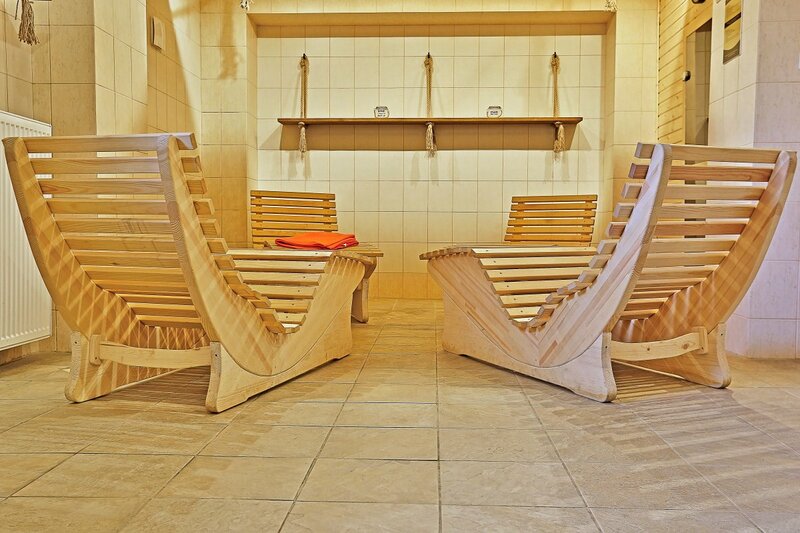 Have rest in our Finnish or infra-saunas, warm-up in the solarium, or pamper your body with a unique massage. Are you looking for peace of mind and fun in one place? You can find stylishness, calmness, relax, and fun in the Cactus Bar & Wellness, all under one roof. Our English Pub provides exclusive premises with capacity of 60 people and another 10 people in the non-smoking small lounge. 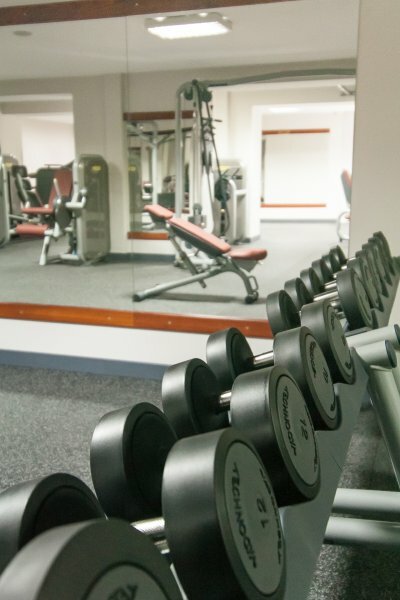 Come and enjoy broadcasts of sporting events and play billiards comfortably; have a workout in our fitness-centre; relax in the sauna; warm up in the solarium; or make use of our massage services. 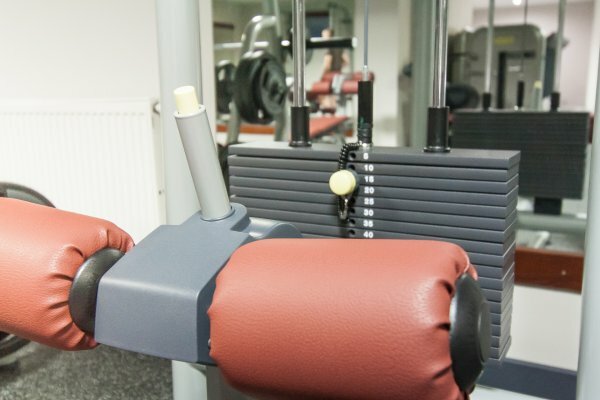 Fitness entails sporting activities and entire life-style, it is aimed at overall shape, fitness, improved posture, and figure while simultaneously boosting health and developing the strength. Our fitness centre has been refurbished and completely equipped with new machines by TECHNOGYM, one of the best fitness brands. 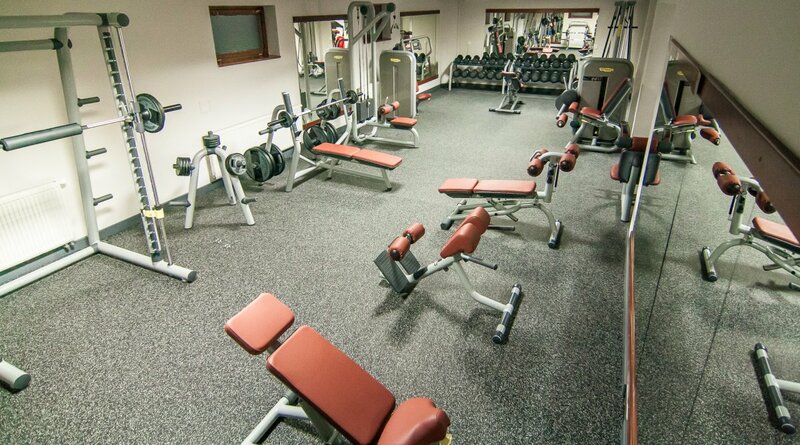 Come and have your workout with us. Finnish sauna – it has wholesome influence on our health and it is an excellent prevention of various diseases, boosting the immunity. By sweating, all toxins are flooded out of our body and the subsequent cooling enhances our hardiness. The sauna is suitable for those who want to take care of their bodies – it is no accident that the Finns are the healthiest people in the world; a sauna is as common for them as a living room for us. 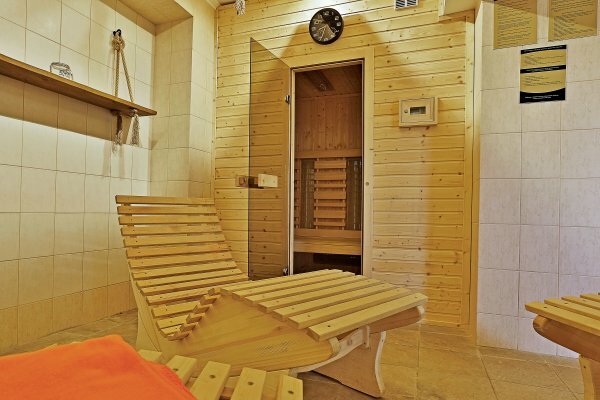 Infra sauna – the infrared energy generated by infrared rays eliminates three times more harmful substances than a traditional sauna. Infrared rays work with the air temperature within the range of 30 - 60 °C, whereas a traditional sauna with that of 90 - 105 °C. 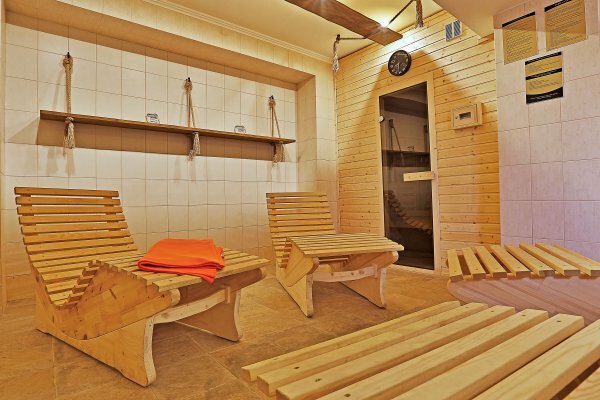 Lower air temperatures are important for people with an increased cardiovascular risk; the risk increases substantially with high temperatures in traditional saunas. The sauna can also be used by allergic persons, asthmatics, cardiacs, and people suffering from blood pressure problems. The light emitted by the solarium has optimum composition for fast and very efficient tanning of human skin. 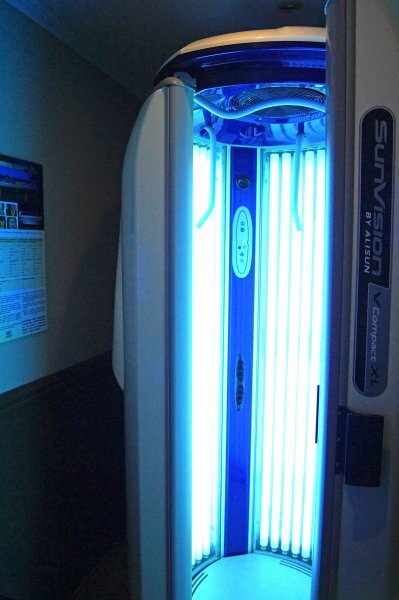 Special lamps generate a relatively high proportion of UVA tanning radiation. 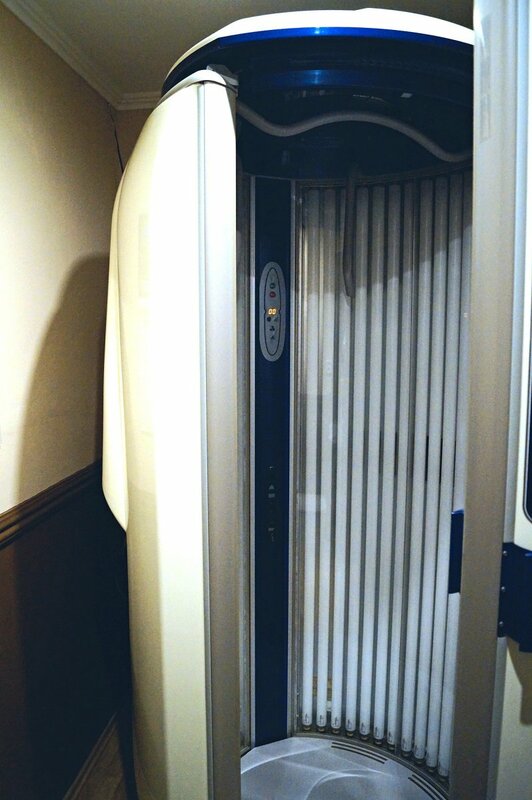 This prevents getting sunburnt and simultaneously leads to a nice bronze tan within an extremely short time. Apart from the cosmetic effect, an appropriate amount of sunbathing is beneficial to our health.